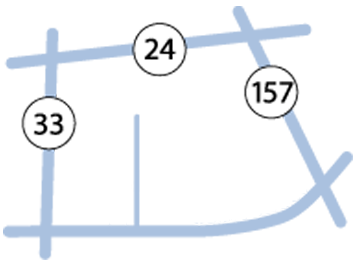 Lawrence Medical Center is a licensed 98-bed facility located in Moulton, Alabama. LMC employs approximately 220 employees in various departments. Lawrence Medical Center boasts a 24-hour Emergency Care Center, state-of-the-art diagnostic equipment, and experienced physicians and staff that are dedicated to providing the highest quality patient care. Join a healthcare team that is experienced, patient-focused and committed to delivering quality care within this welcoming community in North Alabama. Lawrence Medical Center is a drug-free work place. All prospective employees at LMC are subject to a post-offer drug screen and background check. Additionally, employees agree to be subject to random drug screening during employment. Responsible for the day-to-day operations for 5 rural health clinics in Lawrence County. 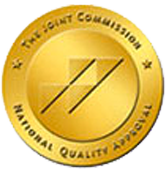 Responsible for quality compliance, including Meaningful Use requirements for physician practices, as well as Joint Commission and CMS regulations. Manages all employees in the clinic setting and is responsible for the performance management of those areas. Associate’s degree in a health care related or business related field preferred. Previous leadership in physician office practice required. Experience in rural health clinics preferred. Must hold a current Alabama state license, registration or certification as applicable to their training. Responsible for cleaning, striping and waxing all facility floors. Removes refuse materials, moves furniture, equipment and supplies within and between departments and replaces expandable supplies. Also, performs housekeeping duties as needed. Experience preferred. Insurance billing for rural health clinics – Experience preferred. These positions qualify for the $500 Employee (LMC) referral bonus. This positions qualify for the $500 Employee (LMC) referral bonus. Environmental Services Technician — Housekeeping duties. Medical Assistant — Must have knowledge of medical terminology, clinic patient care and use of EHR. MA Certification preferred. Clinical/House Supervisor - Must be a graduate of an accredited school of nursing. Possess a nursing license in good standing in the State of Alabama. Minimum of 2 years clinical RN experience required.